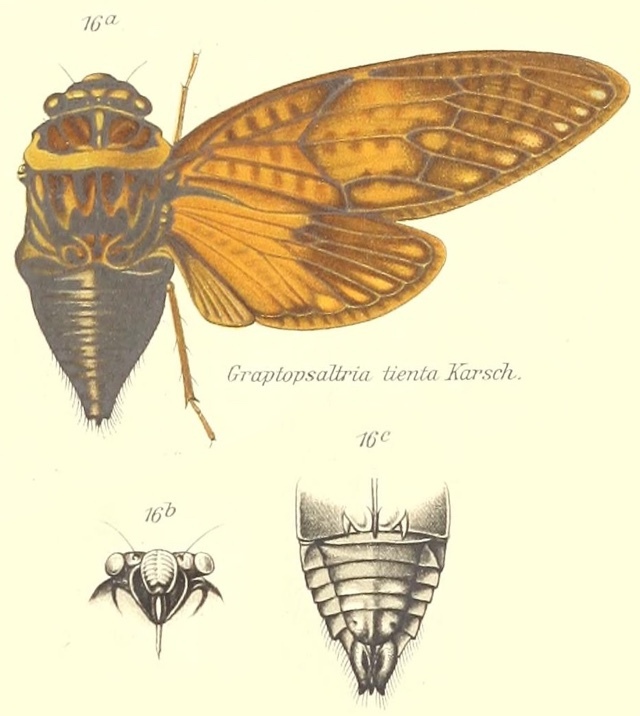 There are five sub-species of Auritibicen flammatus. 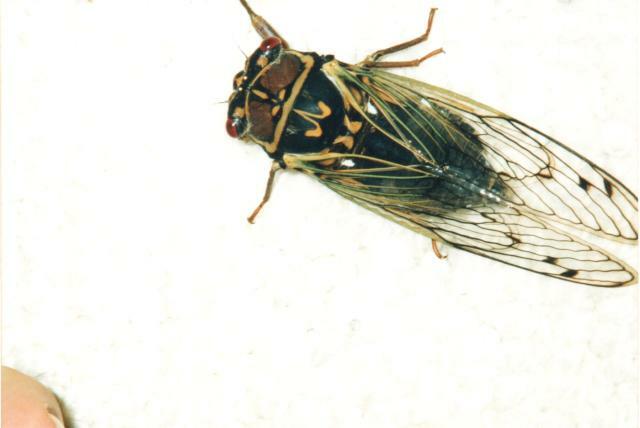 They are found in Japan and known as Aka-ezo-zemi. 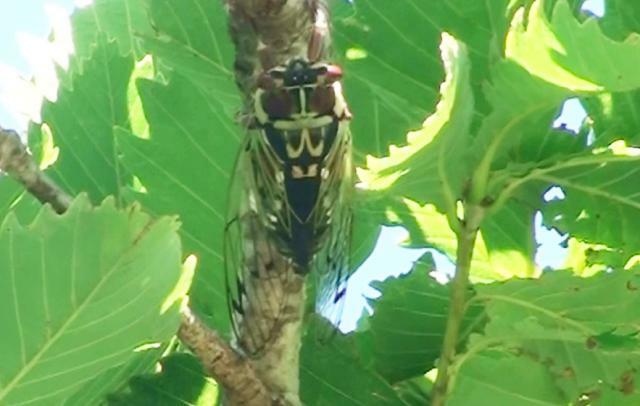 Auritibicen flammatus adonis photo by Osamu Hikino. 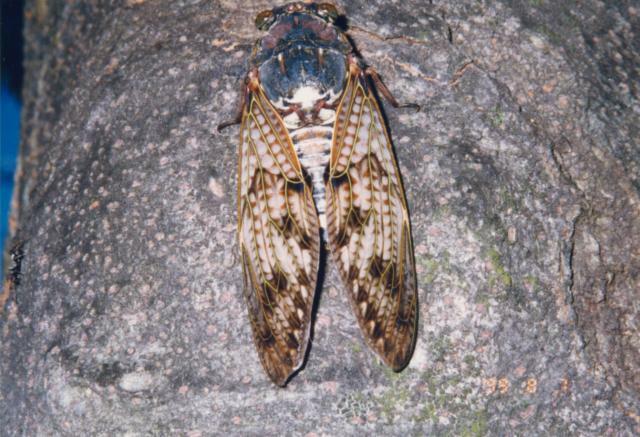 For more information about Auritibicen flammatus, visit Cicadae in Japan. 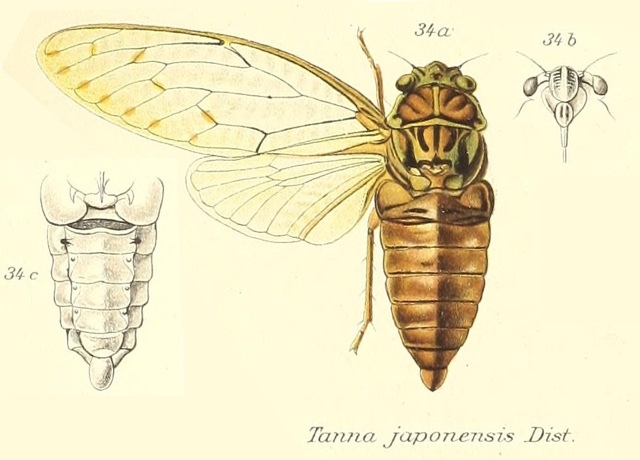 There are ten sub-species of Auritibicen japonicus. 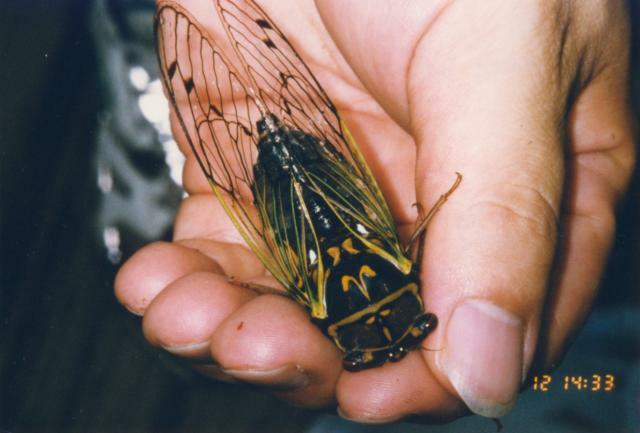 They are found in Japan and known as Ezo-zemi. 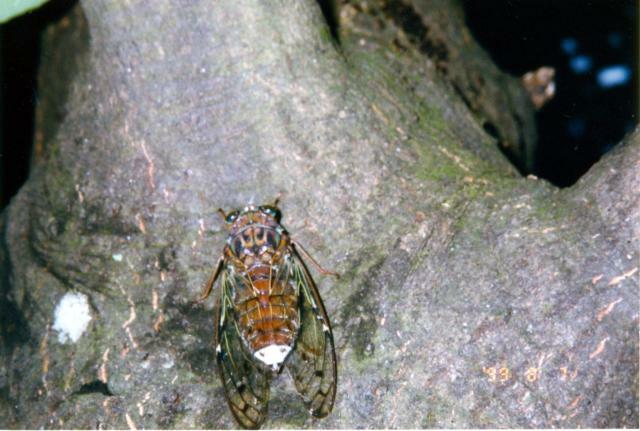 Photo of a male Auritibicen japonicus by Osamu Hikino. 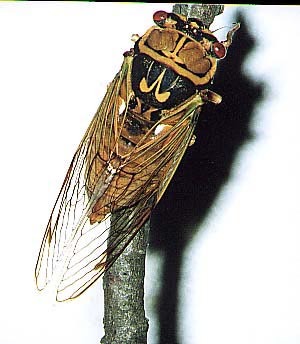 A new version of the Cicadidae of Japan is out. This is not a reprint. It adds new photos and the accompanying CD features new audio recordings. 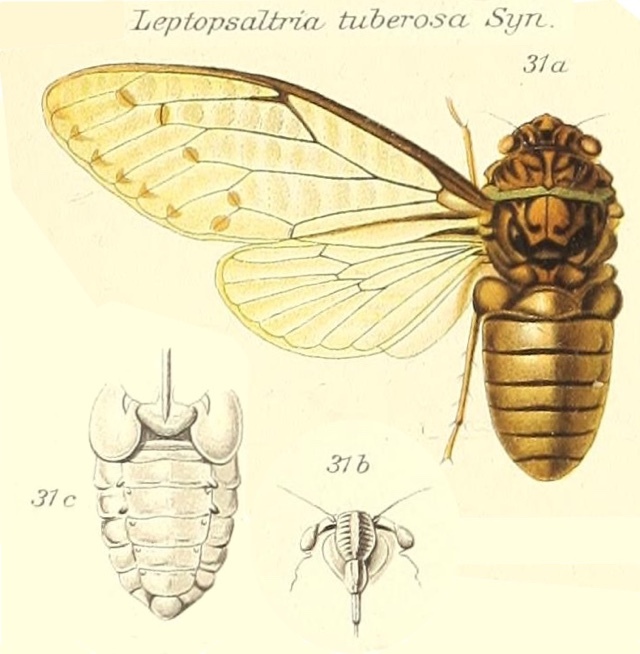 The book was authored by Dr. M. Haysashi and Dr. Yasumasa Saisho (of the incredible Cicadidae of Japan website). It is available on Amazon in Japan.